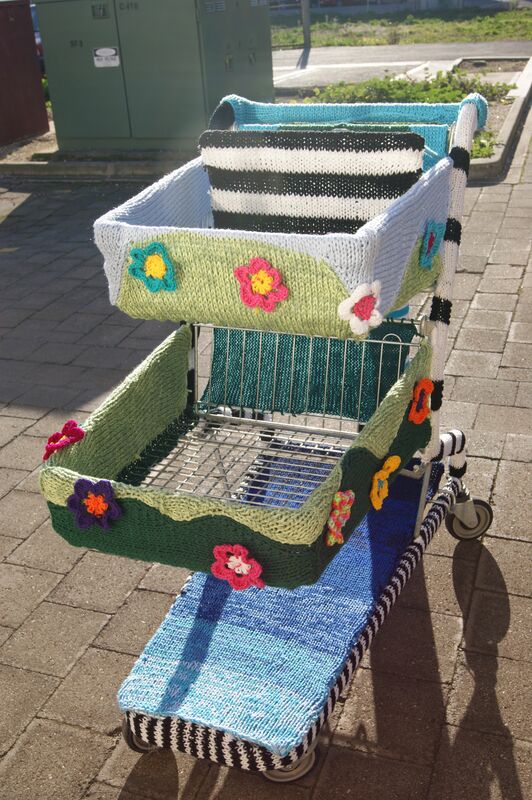 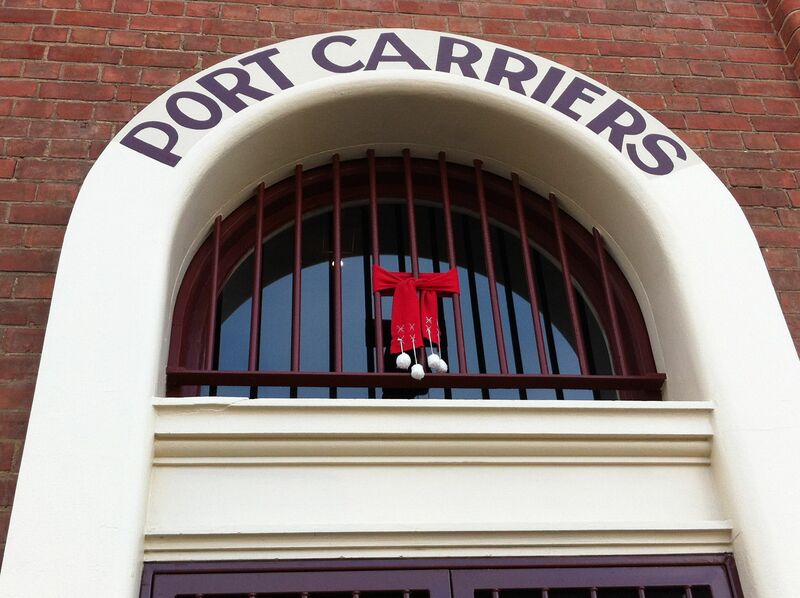 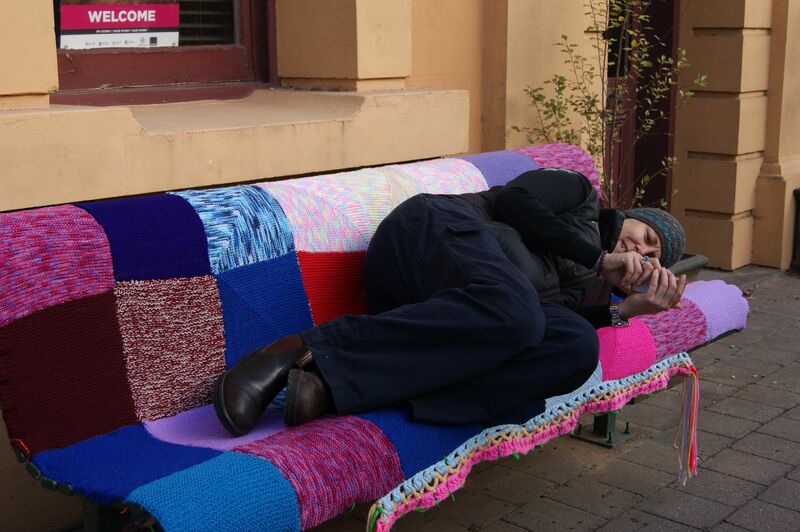 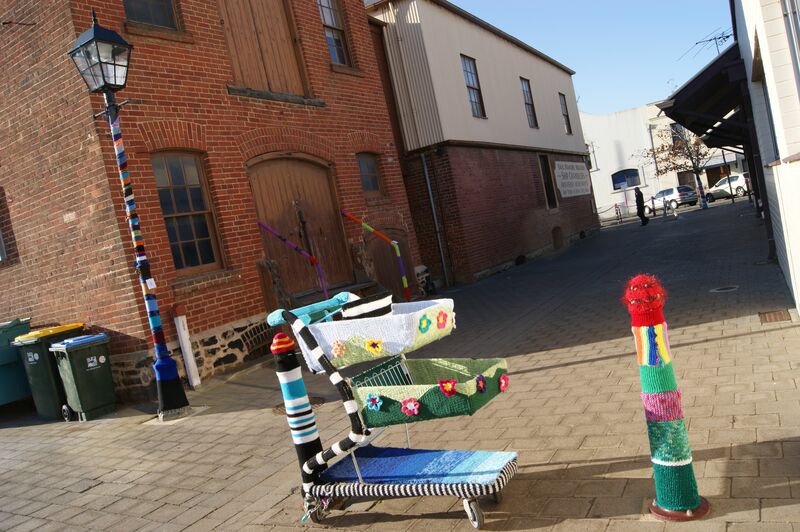 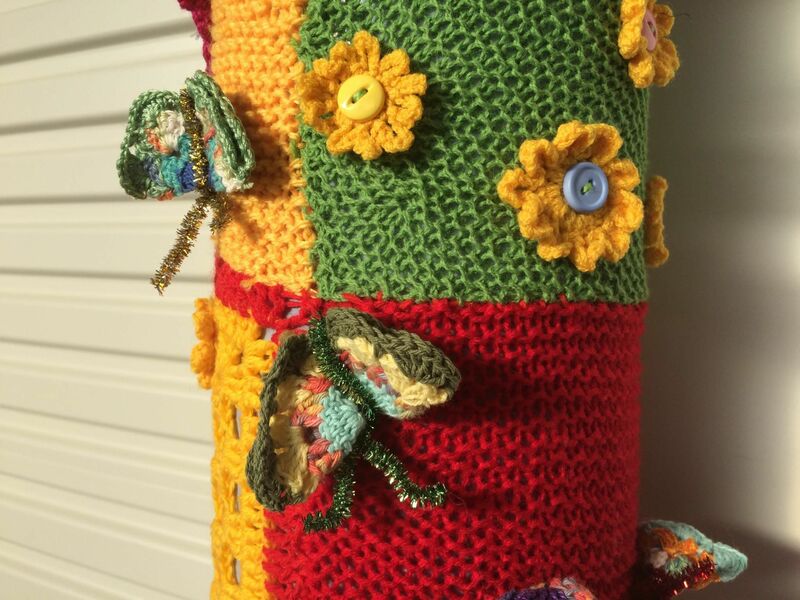 People from all walks of life are coming together in a bid to yarn bomb Port Adelaide. 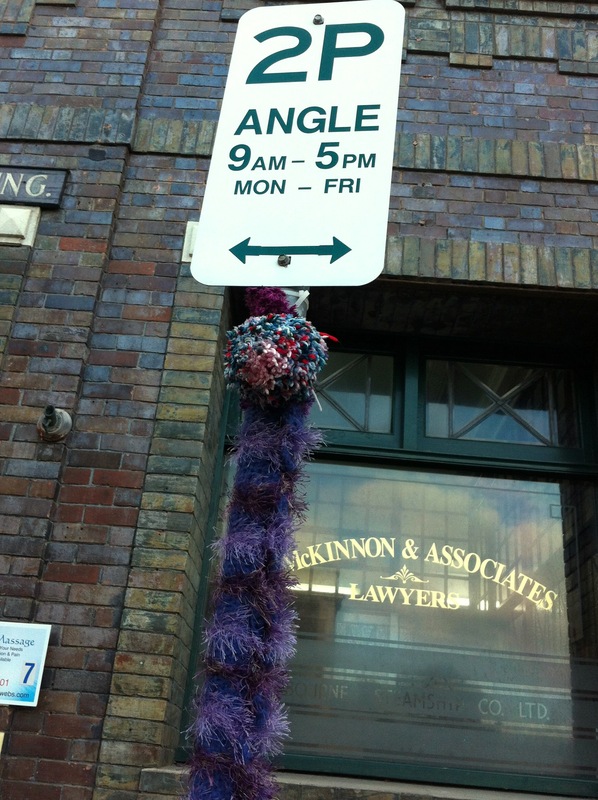 Local businesses are getting involved and local government is showing support for the growing trend. 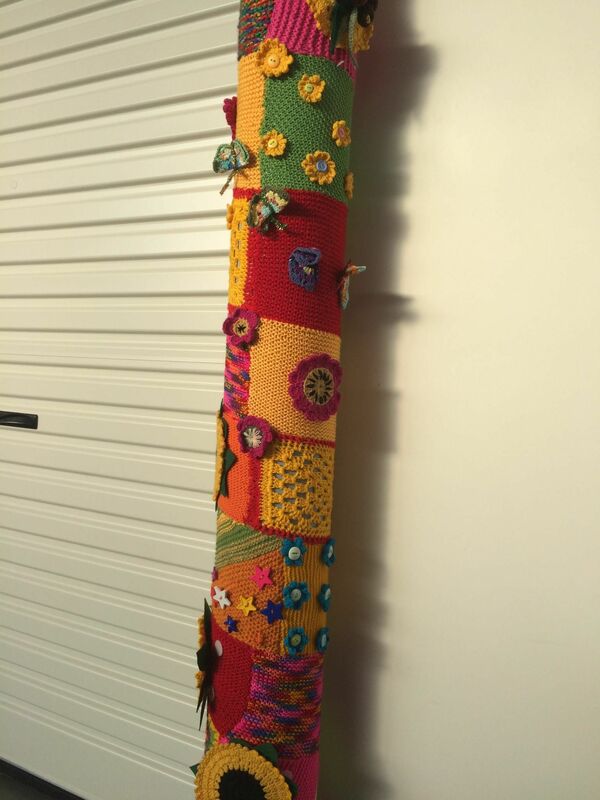 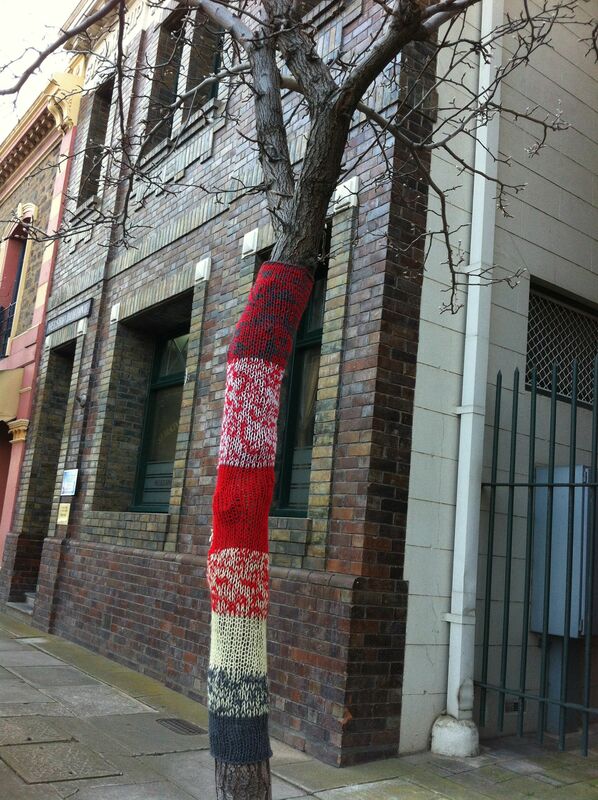 Some of the yarn bombers are keeping their identities close to their chests while others are tagging their work. 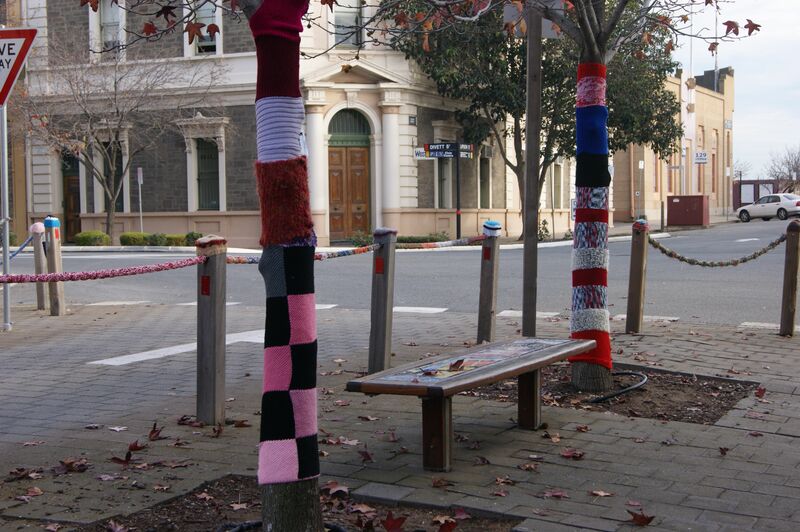 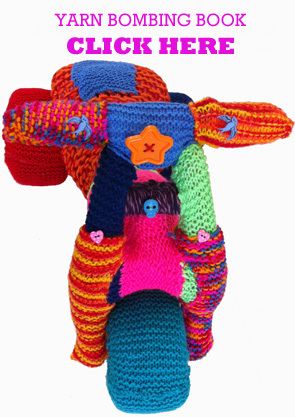 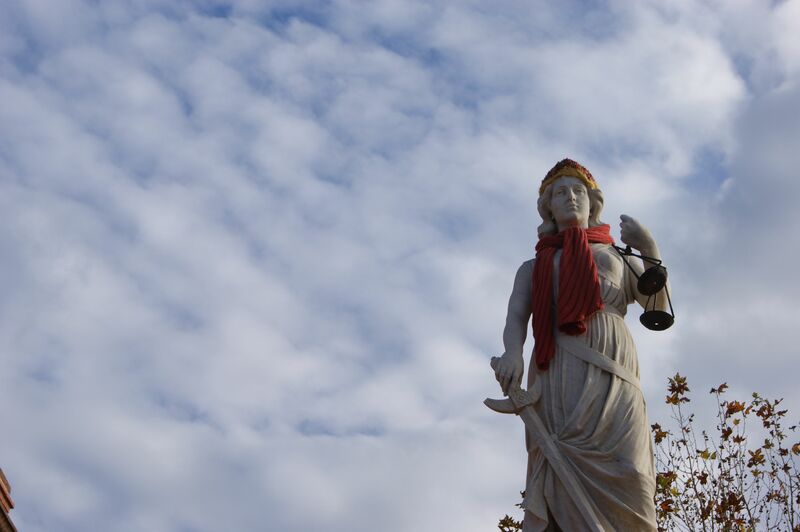 The yarn bombing began at the start of winter and is an ongoing project. 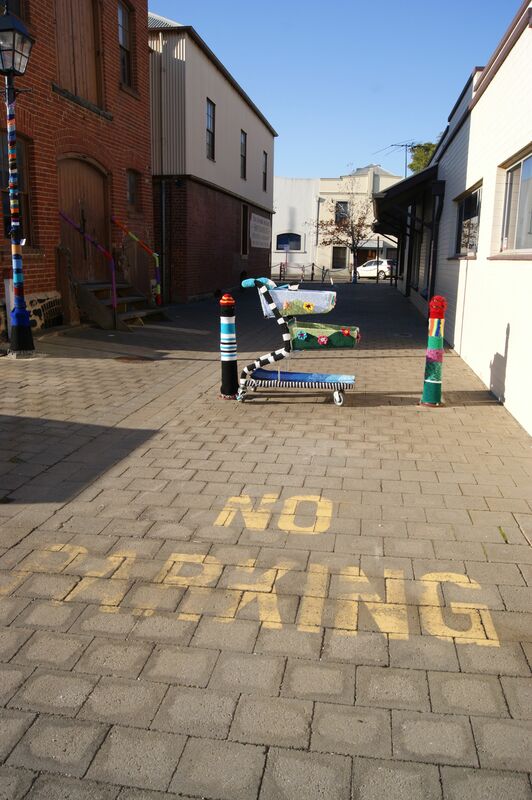 People from all areas of the community are getting involved and enthusiasm is still running strong. 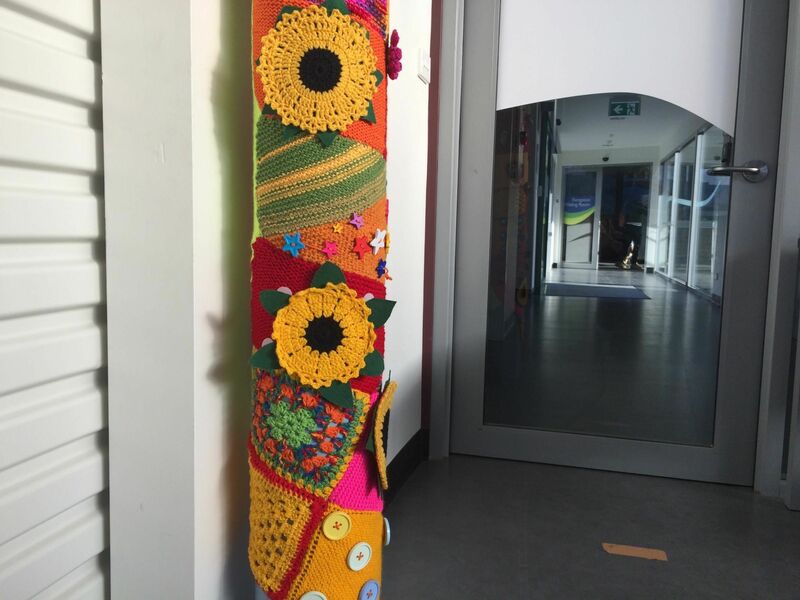 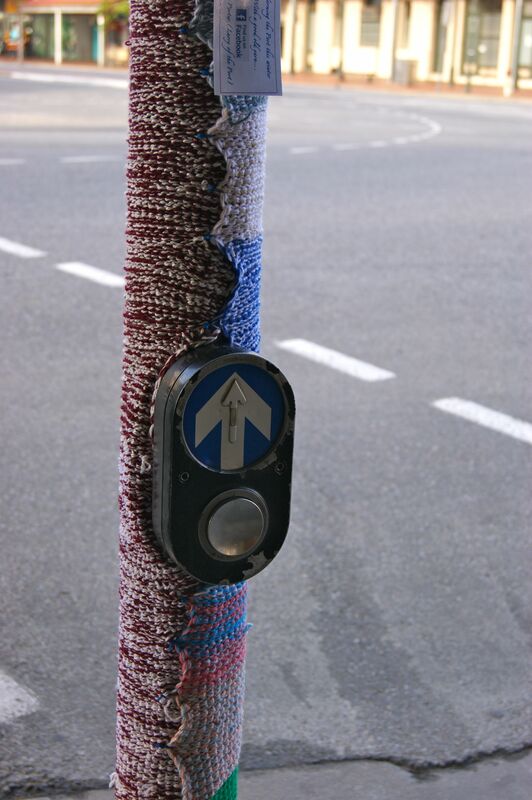 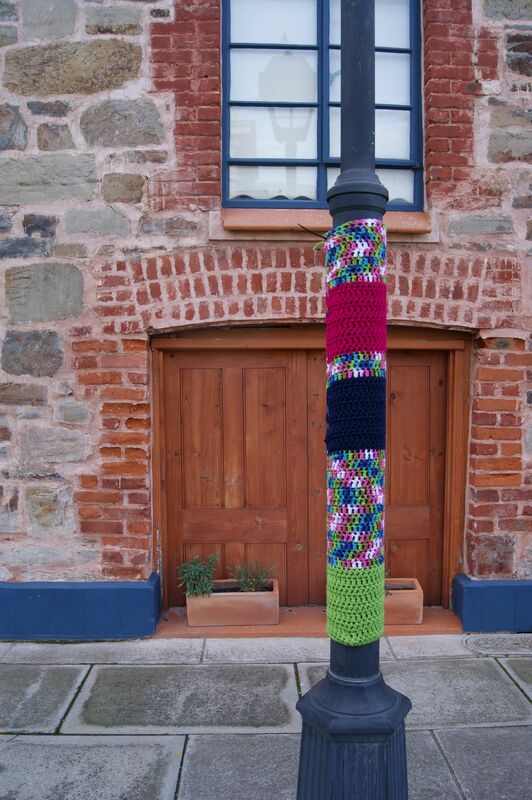 Those who don’t know how to knit or crochet are getting involved by stitching old jumpers scarves and hand made pompoms to buildings, poles and lamp posts. 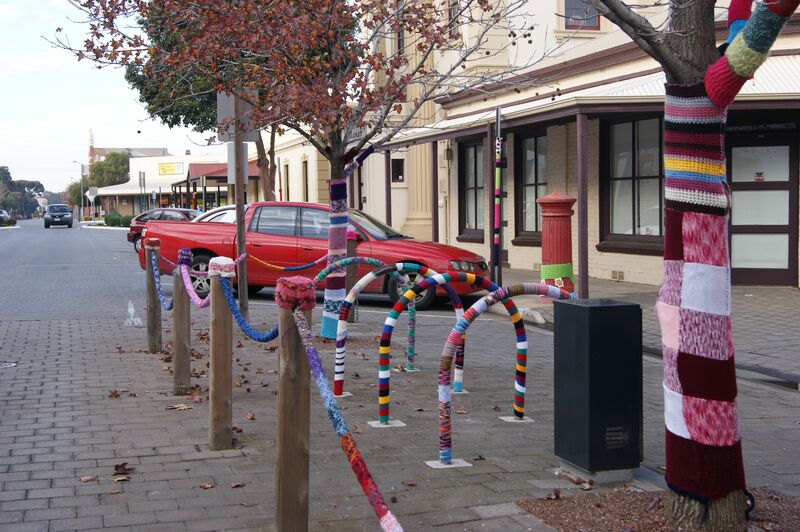 Yarn bombing is a friendly form of street art that has proved popular within the local community and with tourists who love to photograph the work. 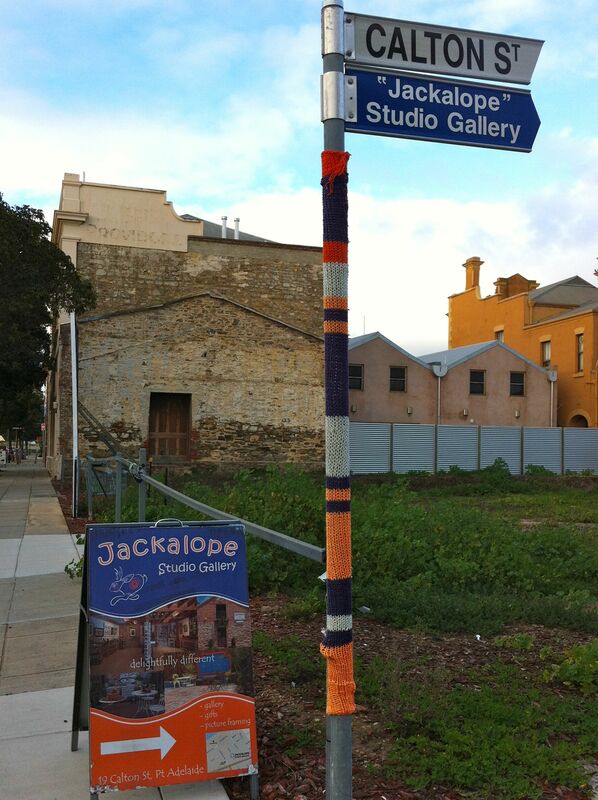 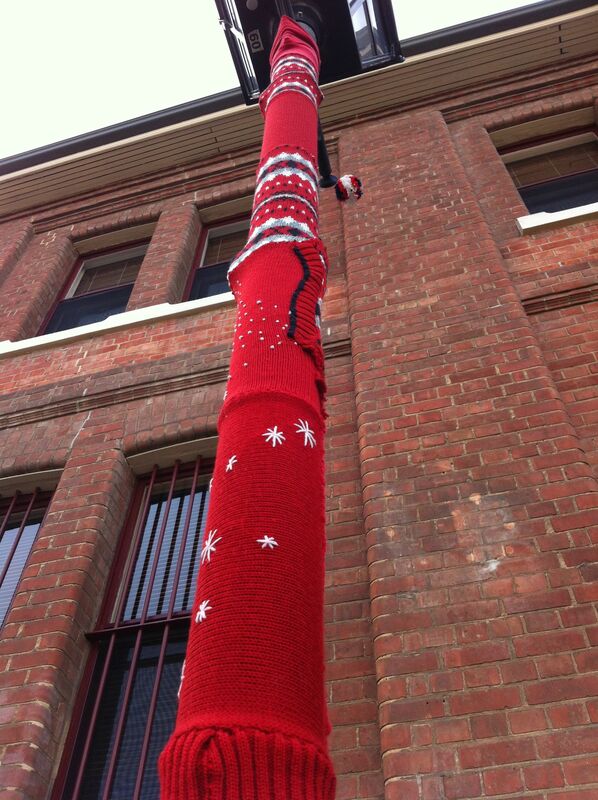 This entry was posted in Yarn bombing and tagged community, photography, port adelaide, street art, yarn bomb on August 13, 2012 by yarnbomb.